Apostasy is up for several awards. Michelle Smith has been nominated for Best Casting in the BIFA Awards 2018 for Apostasy, sponsored by the Casting Society of America and Spotlight, visit www.bifa.film/awards/2018/winners-nominations. Congratulations to Molly Wright for Most Promising Newcomer and Best Supporting Actress Nomination. Apostasy has also received nominations for Best Debut Screenwriter, Debut Director and Breakthrough Producer. Starring Siobhan Finneran, Robert Ems and Sacha Parkinson. Raised in the Jehovah Witness 'The Truth', sisters Alex and Luisa are devoted to each other and to their faith. Their mission is to convert the large Pakistani community of Oldham before Armageddon. But when Luisa (played by Sacha Parkinson) is found guilty of fornication, Alex and her mother, Ivanna (played by Siobhan Finneran), are forced to ostracise her as punishment for her sin. As the story develops, it becomes clear that it is Ivanna who must restore God's blessing and secure the spiritual future of her family. Her faith is truly tested when she is forced to choose between her daughters. Written and directed by a former Jehovah's Witness, this film gives a true insight into a fundamentalist religion that seeks conformity in its devotees. Told through a collection of deeply personal prayers and charged set pieces, Apostasy examines religious identity and the paradox of being in, but not part of, this world. Apostasy is a feature for BBC Films and BFI. The Guardian - Daniel Kokotajlo's debut about life among a religious community in Oldham is authentic, sensitive and subtle but has a sledgehammer narrative punch. BFI - 'Apostasy' is a remarkable and authentic debut film, providing rare insight into the complex nature of faith, family, duty and love. BFI - Daniel Kokotajlo, writer-director Apostasy, wins 50k IWC Schaffhausen Filmmaker Bursary. Congratulations to Maxine Peake for BIFA's Best Actress Nomination in Funny Cow and to Richard Hawley for Best Music. 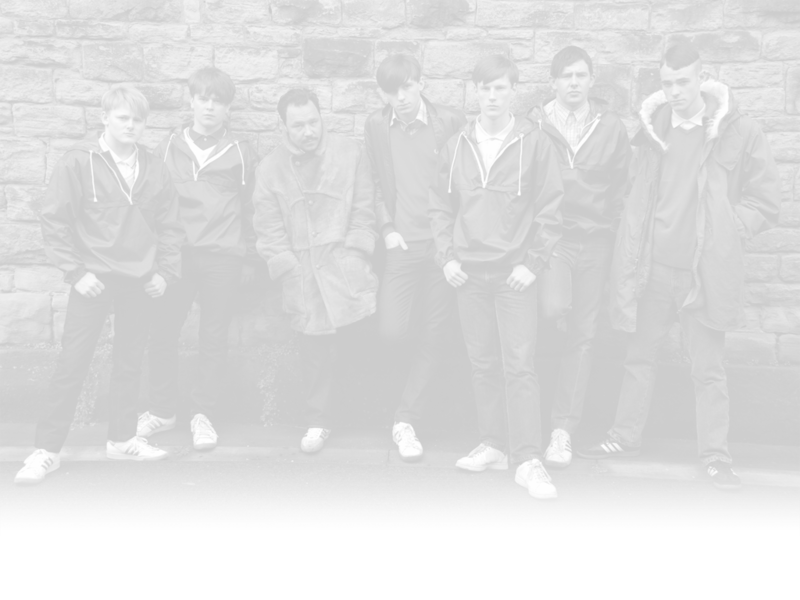 Starring Maxine Peake as Funny Cow, Paddy Considine, Stephen Graham and Vic Reeves. 'A woman with a funnybone for a backbone - Funny Cow' charts the rise to stardom of a female comedienne through the 1970's and 1980's. It is set against the backdrop of working men's clubs and the stand-up comedy circuit in the North of England. From her troubled childhood to her turbulent adult relationships, Funny Cow uses the raw material of her life experiences to bring her unique style of comedy to the stage. A stand-up comedienne in an all-male world, 'Funny Cow' delivers tragedy and comedy in equal measure. Written by Tony Pitts and directed by Adrian Shergold with Richard Hawley providing the soundtrack and music. The Guardian - Maxine Peake dominates the screen as producer and star of this painful, angry film written by Tony Pitts and directed by Adrian Shergold, about a fictional female club comedian fighting her way to the top, or at least the middle, in 1970s Britain. Film Seekers - Funny Cow is a wickedly funny film, with a self-aware streak, capturing the zeitgeist of the era perfectly thanks to the fantastic attention to detail and set dressing. One Room With a View - Funny Cow is literally Maxine Peake's show, as she narrates her tough life - and the film - from a later point of success through a televised monologue. Her no-nonsense honesty is reminiscent of a Victoria Wood piece or Julie Walters role, which puts the audience in the right headspace for the chuckles and struggles that lie ahead. 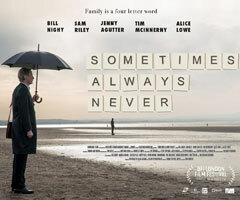 Sometimes Always Never - Featuring Bill Nighy premiered at the London Film Festival in October. Starring Bill Nighy, Sam Riley, Jenny Agutter, Tim McInnerny and Louis Healy, Director Carl Hunter. Sometimes Always Never is a drama about words and loss. It tells the story of family with an exceptional Scrabble vocabulary who cannot put their words to use and communicate with each other, and their journey to reconnect.